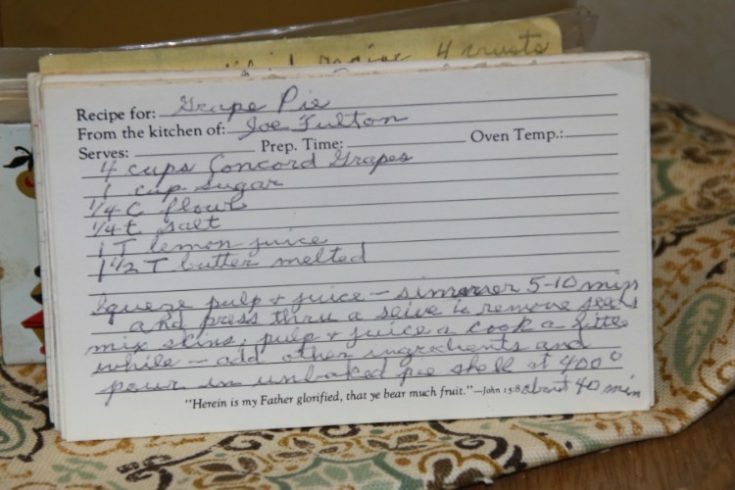 Front of the recipe card for Grape Pie. 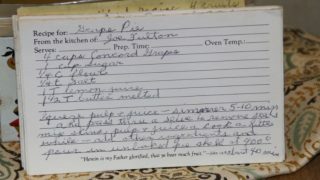 There are lots of fun recipes to read in the box this recipe for Grape Pie was with. Use the links below to view other recipes similar to this Grape Pie recipe. If you make this Grape Pie recipe, please share your photos and comments below! Squeeze pulp & juice - simmer 5-10 min and press through a sieve to remove seeds. Add other ingredients and pour in unbaked pie shell at 400° & 40 min.